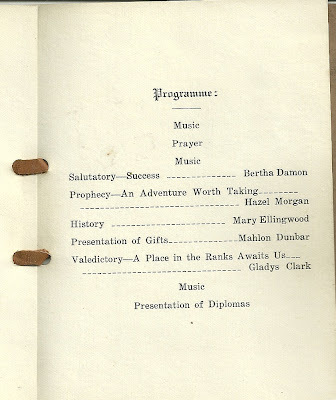 1921 program for the Commencement Exercises at Winterport High School, Winterport, Maine. 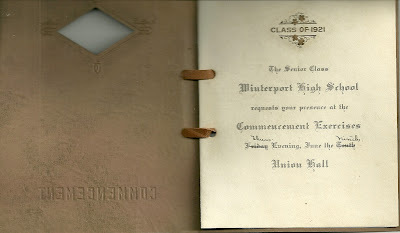 Mahlon Toby Dunbar of Winterport married Mary A. Thompson of Winterport on 25 June 1929. 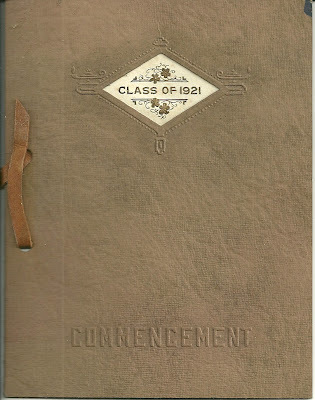 Mary A. Ellingwood of Winterport married George A. Hathway of Winterport on 13 August 1924. 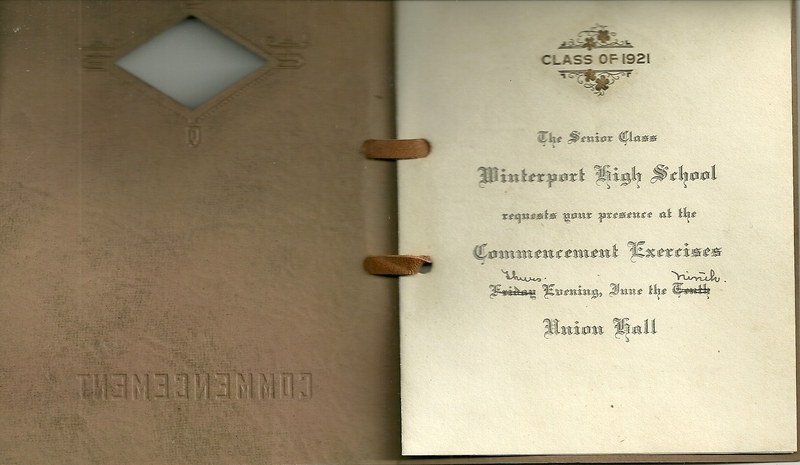 Hazel I. Morgan of Winterport married William F. Fish of Bangor on 27 May 1933. If you have any insights into any of the people mentioned above, please leave a comment. Thanks! 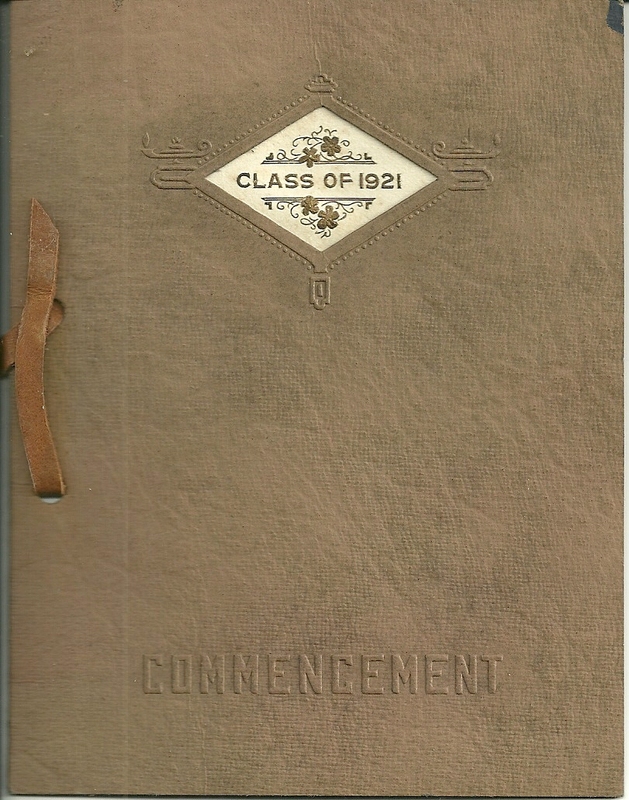 Thanks for sharing this commencement program. 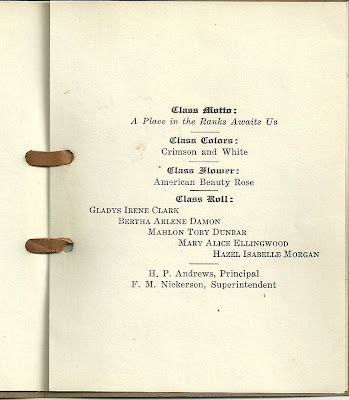 It provided me with a little more information about my great grandmother, Mary Alice Ellingwood. I never knew her, since she died in 1991, the year after I was born. I don't know a lot about her, but I do know that she lived in Winterport her whole life. She and her husband lived in a house in a part of Winterport known as Ellingwood's Corner that was one house down from Ellingwood's Corner Cemetery, where she is buried today. 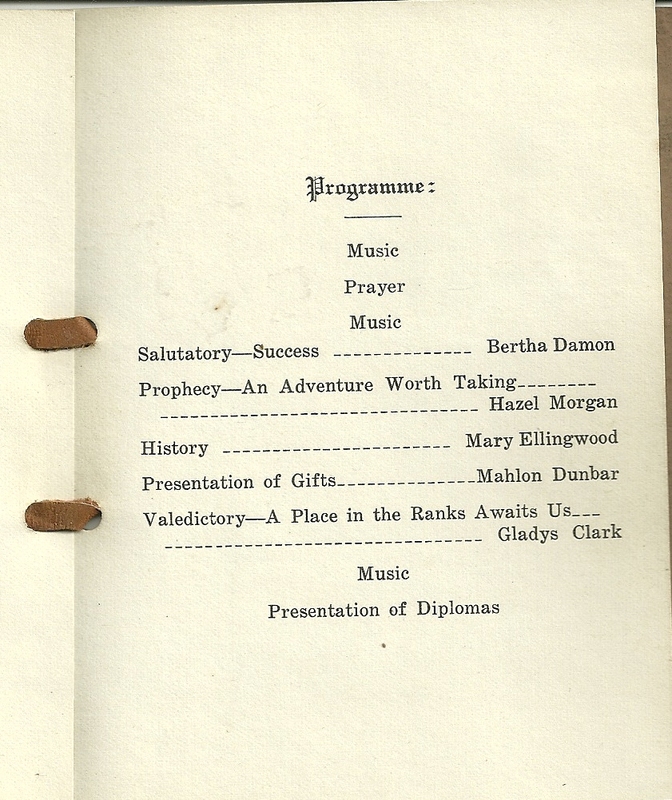 My grandmother (her daughter-in-law) told me that she used to play the piano for Ellingwood's Corner Church. She was a devout Methodist. My grandmother also told me this anecdote. When my grandmother had her first child, she named her Mary Helen, combining the first names of her mother-in-law and her own mother. However, Mary Alice made her change her daughter's name because she thought Mary Helen sounded too Catholic. That's about what I know. 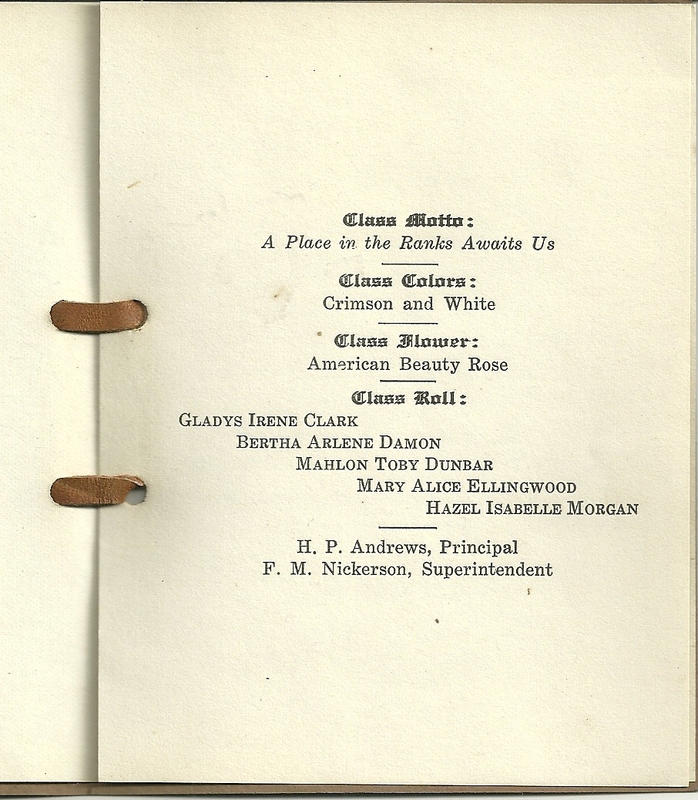 Check the archives for Ellingwood and other surnames/locales you're interested in. I'm impressed and gratified that you are interested in family history at your young age!